Pattini Ci sono 8 prodotti. 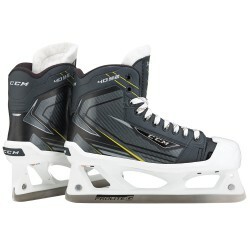 HEAT MOLDABLE POWER FORM COMPOSITE – BLACK High end, layer-formed boot frame with strategicreinforcements, elite level support and energytransfer design. COMPOSITE REINFORCED ATTACKFRAME CORE Lightweight, rigid and thermo-formable core formaximum performance. HEAVY DUTY MICRO-FIBER High resistance to wear, while providing comfortand durability. 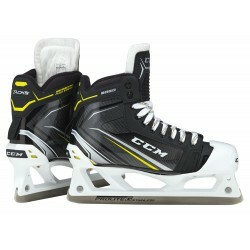 HEAT MOLDABLE SYNTHETIC POWER FORM COMPOSITE Durable boot with elite structural stiffnessand a composite skin finish. TWO-TONE BRUSHED MICRO-FIBER Provides comfort and a resistance to wear and tear. HEAT MOLDABLE ADVANCED PUMP™ Most efficient Pump™ to date forpersonalized fit with added comfort. RIBCOR FLEX Light weight structure for enhancedforward flexion and durability. LIGHTWEIGHT ELITE SYNTHETIC CORE Enhanced support and durability. DUAL ZONE LIGHTWEIGHT TRICOT Comfortable fit and durability. 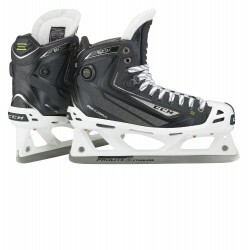 HEAT MOLDABLE DUAL ZONE 360 TECHNOLOGY One-piece boot frame with stiff lowerportion and flexible upper for comfort. CARBON COMPOSITE Premium carbon composite offers excellentenergy transfer for power pushes. 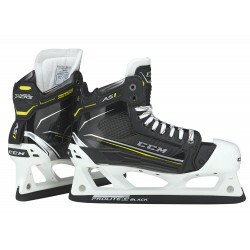 ANATOMICAL Form-fitting one-piece boot frameincreases the foot contact area withthe entire skate boot. 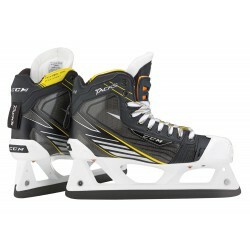 HEAT MOLDABLE 3D-LASTED TECHNOLOGY High-precision ergonomic skate boot givingplayers an excellent, locked-in feel. 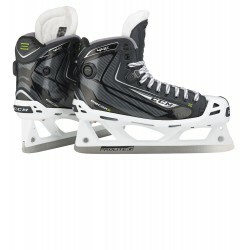 ROCKETFRAME COMPOSITE NHL-caliber lightweightcomposite material. SPEEDCORE 2 STIFFNESS Lightweight, rigid and thermo-formablecore generating excellent performance. HEAT MOLDABLE METAFRAME TECHNOLOGYWITH SYNTHETIC COMPOSITE New ergonomic boot shaping systemproviding the best fit for this segment. SPEEDCORE 1 STIFFNESS Lightweight and thermo-formable coregenerating excellent performance. FELT TONGUEWITH EMBOSSED LACE-BITE PROTECTION 7mm felt with reinforcement layers forincreased comfort and protection.